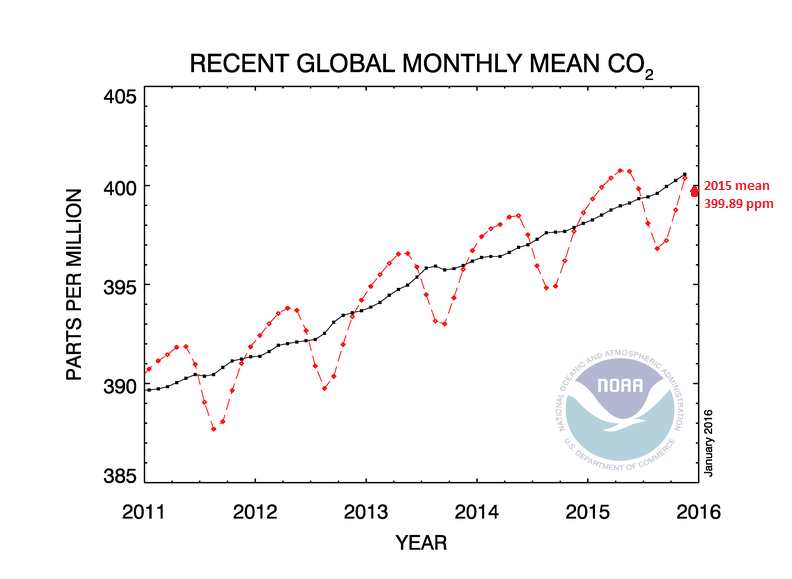 The NOAA ESRL Global Monitoring Division has not yet released its official global CO2 annual mean on its website, but it has provided the basis for a preliminary figure. The data section at the bottom of the page shows that 2014's annual global CO2 mean was 397.16 ppm. However ESRL has released the preliminary annual mean growth rate for 2015 which is 2.73 ppm. 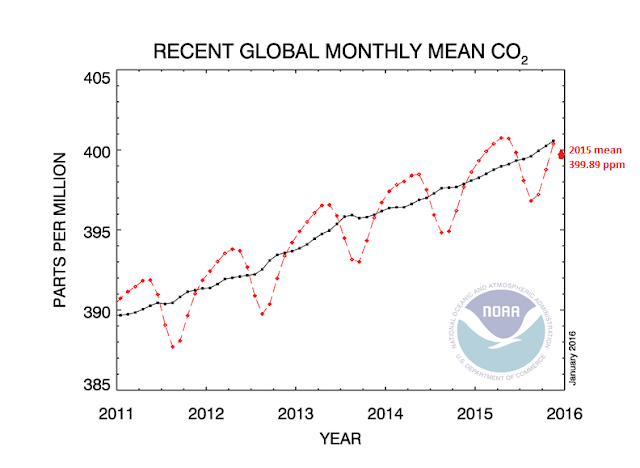 The math gives us 399.89 ppm for a preliminary global annual mean for 2015. The problem is, we will likely easily pass a annual global mean of 400 ppm in 2016, and given continued El Nino and other warming factors - perhaps even 402 ppm. Hopefully the next few days or weeks will see the official update become public.